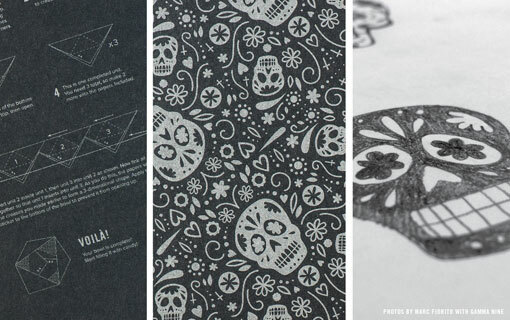 San Francisco-based studio Noise 13 recently completed the design for Heath Newton Family law firm’s annual Halloween mailer. 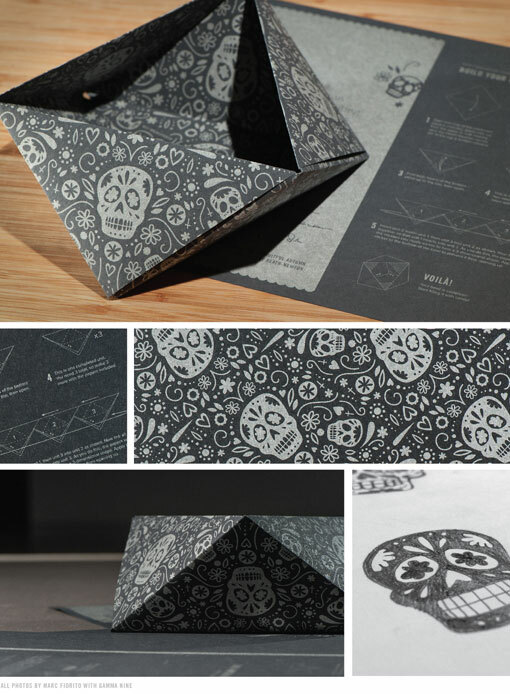 This year they designed a DIY origami bowl kit featuring an intricate Dia de los Muertos pattern. Once put together, the bowl gave recipients a place to stash the accompanying treats—a Heath bar and Fig Newton to play off the partners’ names—as well as a useful and eye-catching object to keep on their desks.